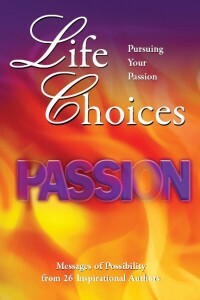 As many of you know, I was honored to participate in the anthology, Life Choices: Pursuing Your Passion. I wrote a chapter on how to find success through friendship. You can purchase your copy here. 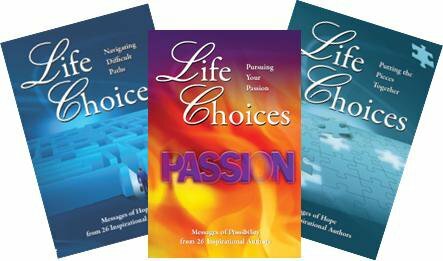 Life Choices: Pursuing Your Passion was the third in a series of Life Choices books. A new one will be out in the spring, and I’ve just submitted a chapter for that. All together, there are nearly 100 authors participating in this series, all sharing their stories to inspire you to a better life. If you are looking for a totally fresh way to improve your life… If you would like to learn how to build your self-esteem, organize your time, solve your problems, create abundant health, and live a life of joy and happiness, this is a must attend conference. Keynote speakers include Judi Moreo, Jeff Civillico, Anne Abernathy, Casey McNeal, Tim Goodenough and Aimmee Kodachian. I hope you’ll join me in attending this extraordinary event. Register now at www.lifechoicesevent.com and use Speaker Code PYPCM. Come with your friends and spend a few extra days enjoying what Las Vegas has to offer. This entry was posted in Events, Life Choices and tagged Aimmee Kodachian, Anne Abernathy, Casey McNeal, Cindi Maciolek, inspirational event, Jeff Civillico, Judi Moreo, Las Vegas, Life Choices, Life Choices The Event, Life Choices: Pursuing Your Passion, March 2012, motivational events, motivational weekend, Pursuing Your Passion, Tim Goodenough, Tropicana Hotel on December 4, 2011 by Cindi. I’m so excited! Finally, on June 10, 2011, this wonderful anthology will be launched! I’m one of over 20 authors in this book who share their stories of how they got to where they are today. The stories are absolutely fascinating! Judi Moreo did an awesome job organizing the stories for this book. 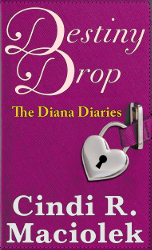 This is the third in a series of Life Choices books, but the first I’ve participated in. I wrote a chapter with a friend on Entrepreneurship and how we keep focused on our goals in spite of the times. I’m offering special pricing now through June 10, 2011. You can own this wonderful book for just $20 including shipping. Just send me an email, or you can order by sending payment through PayPal to the email address sales@grandarborpress.com. Buy it now! You won’t be disappointed. This entry was posted in Books, Life Choices and tagged Judi Moreo, Life Choices: Pursuing Your Passion on May 16, 2011 by Cindi.